- Glow Parties! Festivals! Lighted Costumes! 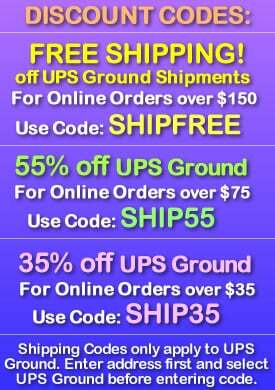 Calling all punk rockers! 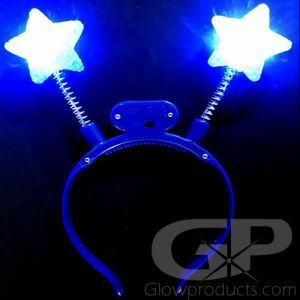 Light Up LED Spike Mohawks are fun light up mohawk boppers with bright LED light spikes! 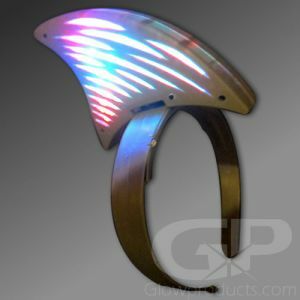 Each LED Spike Glowhawk headband has 6 fun light settings that control the speed and lighting effects inside the spikes. Some of the settings include fast and slow flashing, color transition and a steady light mode. 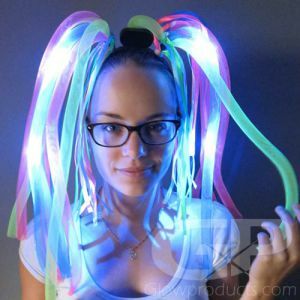 The headband to the Mohawk deely bopper pulls down and twists to turn into a cool lighted mohawk! 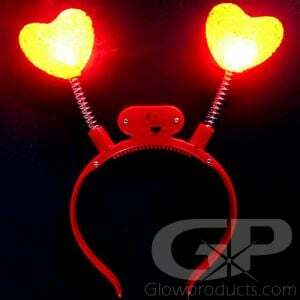 The Light Up Spike Mohawk head bopper comes with AG13 batteries pre-installed and are replaceable. 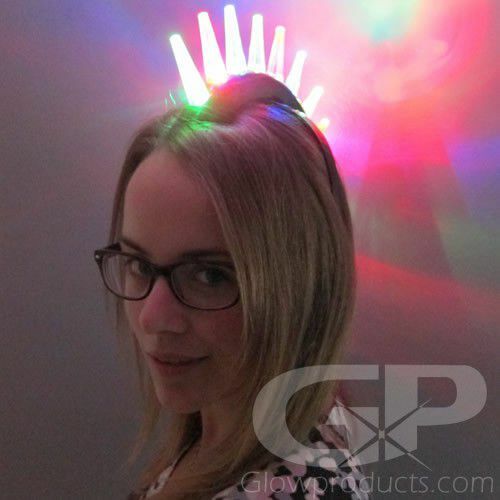 So let's Rock out at your next Rockin' party with Glow in the Dark Spike Mohawks! 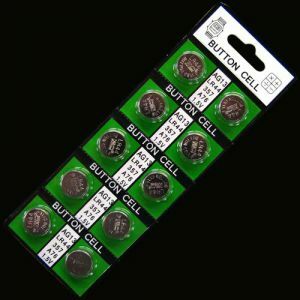 Instructions: Remove the attached battery protection tab from the headband and press the button on the side of the unit to circulate through the various color and light settings. 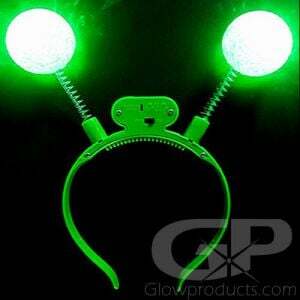 Pull the head band down and twist to turn the glow in the dark deely bopper into an awesome light up Mohawk!